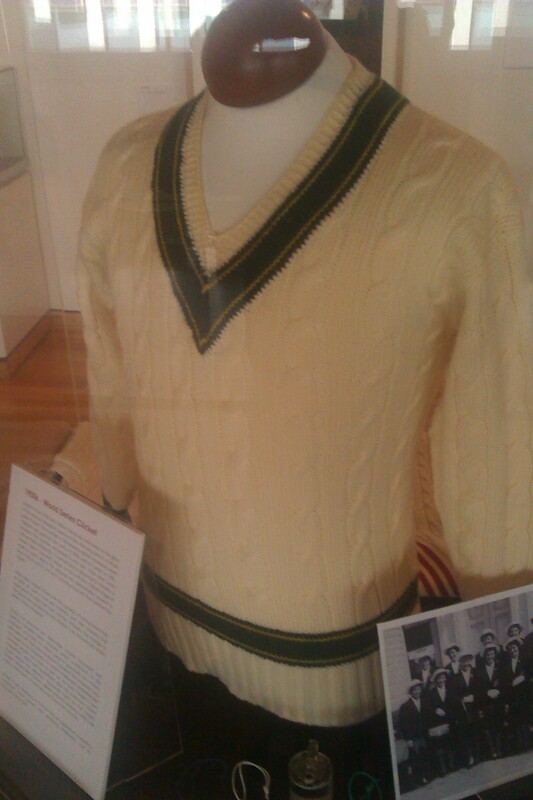 World Of Cricket from the Bradman Museum at CMAG is one of those targeted exhibitions that gives insight into a popular part of our sporting culture. 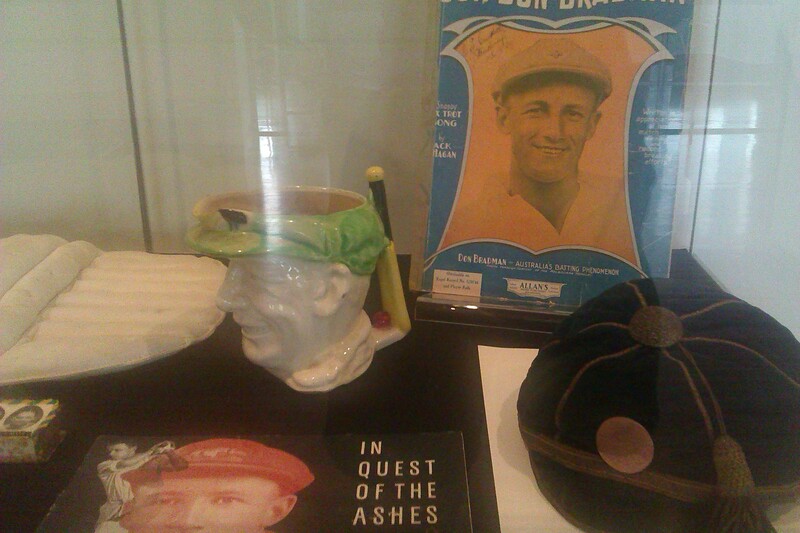 The Bradman Museum at Bowral is a magn et for cricket buffs and this show came from there. It consists of clothes, equipment, documents, photographs and other ephemera. 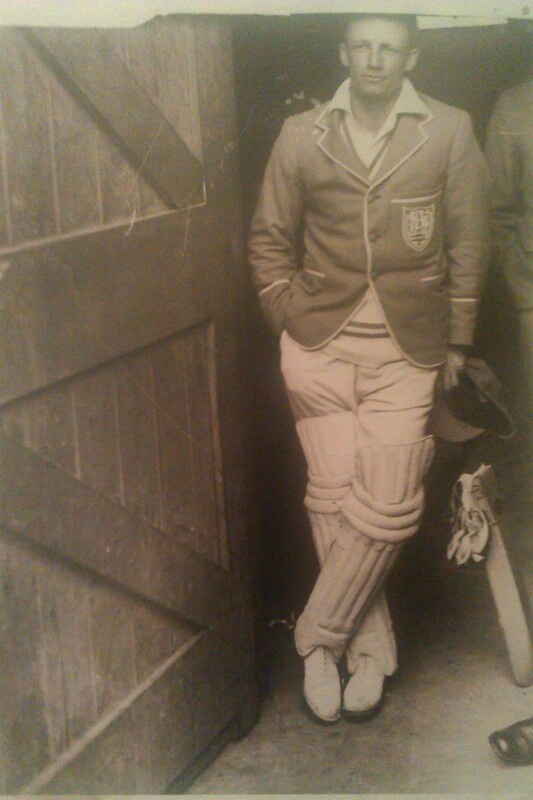 To a non cricket fan like me the explanations were clear and there were some fascinating bits of information. 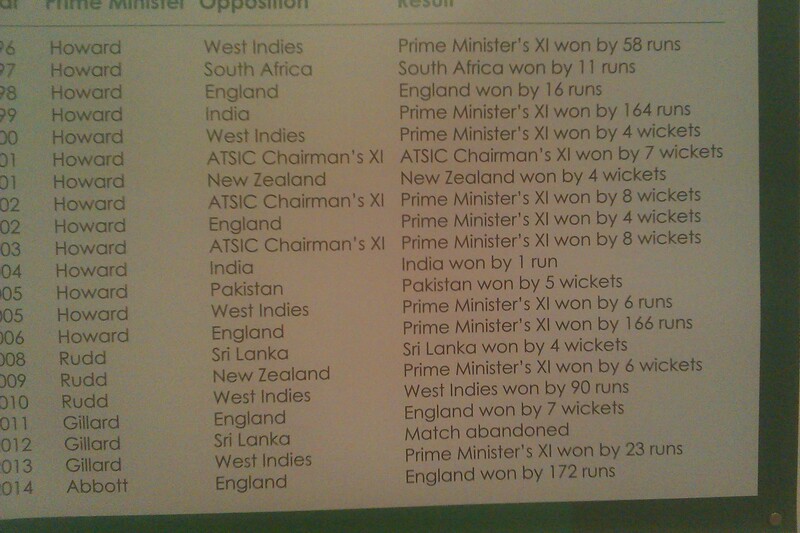 There is a large chart listing the time and results of the Prime Minister’s eleven games. 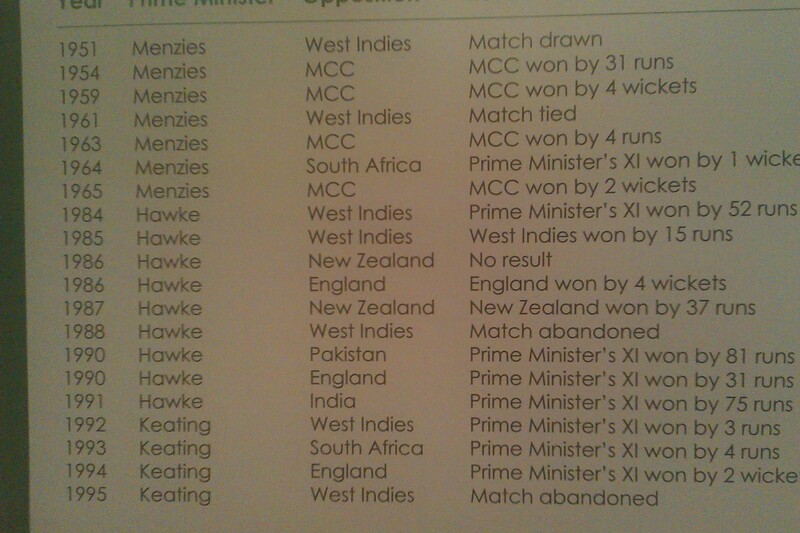 Compared with all other prime ministers Howard ran those matches at a much more regular rate than the others. Another exhibit that I loved was a pair of large format pictures of Manuka Oval one in the 1920’s and one recent one. – a great pair. 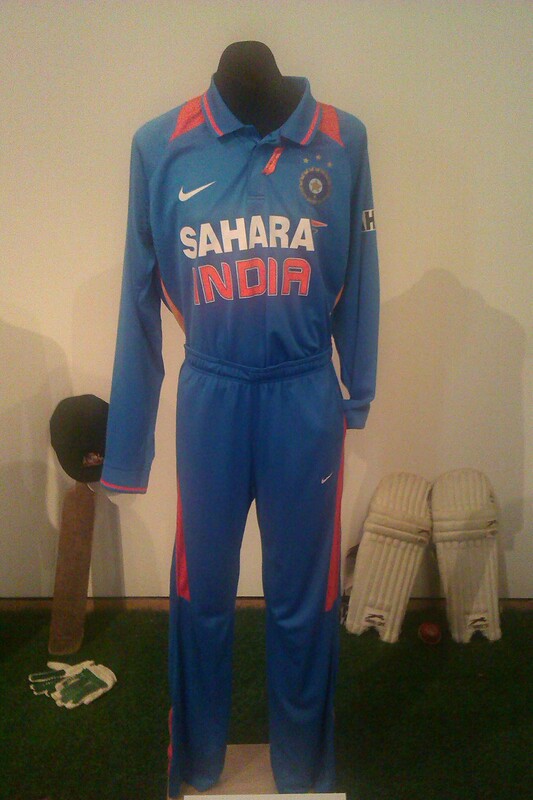 Some pics below give a flavour of the exhibit. The show is on from Sat 6 December 2014 – Sun 15 March 2015.